Toro Adverting is a performance network based in Spain. The revenue models of this ad network are CPA, CPL, CPS and CPI. It is a good alternative to CPA Prosperity and CPAlead. Unlike contextual networks you get paid for conversions. Many affiliates are making huge income from CPA advertising. Toro Advertising review sites before approving them. This affiliate network doesn’t accept newbies. The affiliates without websites must clearly explain about marketing strategies and traffic. The affiliates must not complete the tasks on their own or encourage others to do. The affiliates must not link their sites to illegal sites. The affiliates must not use bots or software to generate fake traffic. The affiliates can get paid on Net 30, Net 15 or Net 7 basis. You need to contact your Affiliate manager for the payment frequency. The minimum payout is $50. The payment options are PayPal, Payoneer, Bank Wire, ePayments and Skrill. The affiliates can boost their earnings referring others. The commission rate is 5%. The rate may increase depending on your performance. You don’t need to have a website to get started. 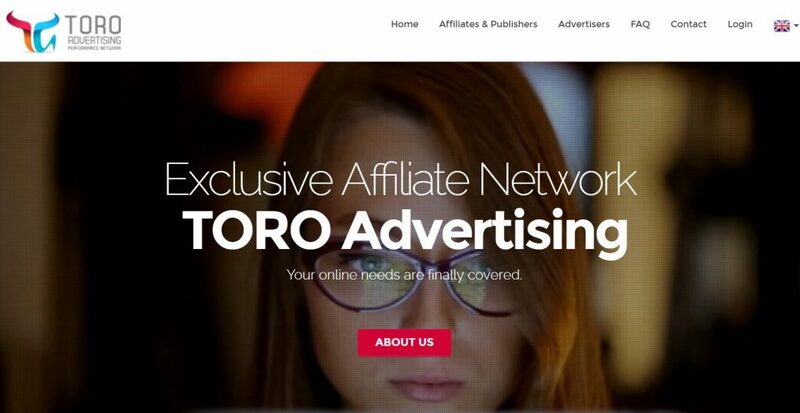 Toro Advertising is the genuine performance network. Thousands of affiliates around the world are earning decent income using this network. It is important to know how this program works before applying as a affiliate. The affiliates who had experience with this affiliate network can share their experiences below. You can also send payment screenshots. Hope Toro Advertising review help affiliates to get started.